White roses and carnations are mixed together to create this divine spray. It is a pure expression of sincere care and love. Your services are reasonably priced even for last-minute arrangements. The original florist we had chosen failed so we chose to order posies here as a last ditch effort. The day was saved! 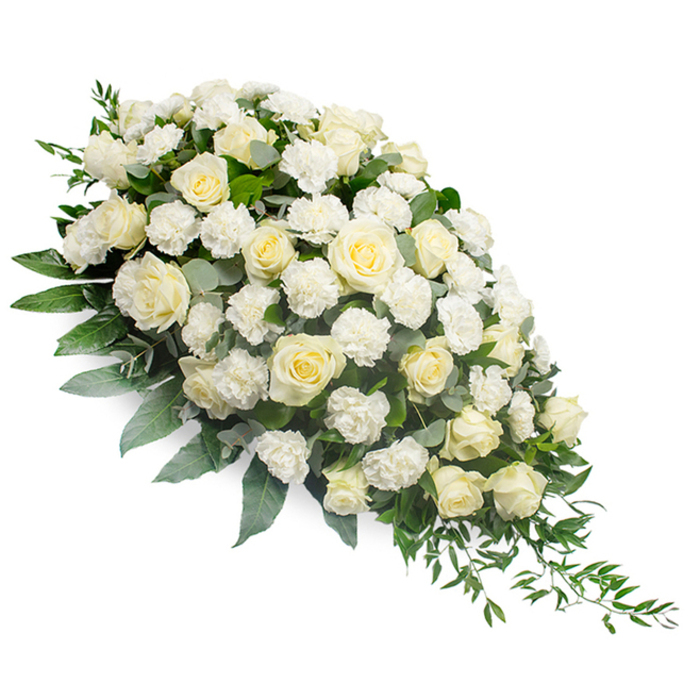 The fastest funeral flower delivery and top-notch flower arrangement. Your florists do such an amazing job that it's heart-warming. I was awestruck! The whole family liked the spray purchased. It looked lovely at the funeral service. Received the flowers in excellent condition. Thank you Handy Flowers. Your help is very much appreciated! Lovely flowers delivered on time. Definitely will recommend your services! Very impressed with the service. Thanks for the wonderful arrangement.